The ambition of RemovAL is straightforward: to overcome environmental issues and technological barriers related to aluminium industry, by combining and advancing existing technologies for the sustainable processing of BR, SPL and other by-products generating revenue. The following processing technologies form the nodes through which different paths can be drawn, depending on waste characteristics, availability and logistics among waste producers and end-users. It starts with technologies that have been at least validated at lab scale (TRL 4 or higher) combines and optimizes them for the raw materials available in the project and delivers technologies demonstrated in actual industrial environments (TRL 7-8). Most of its products have well established markets (cement, lightweight aggregates, mineral wool) or end-user industries (ferro alloys, cement raw materials, alumina, rutile, REE oxides, etc.) ensuring a direct applicability of the project results. There are also some innovative processing reactors (Microwave prototype kiln) or innovative products (soil stabilizer, new inorganic binders) which yet have not been applied/produced in large scales (but have been tested at scales up to 1t/day) and which further enhance the project’s innovation and added value potential. Bauxite Residue (BR) is produced as a red slurry (hence the common term “red mud”) from the Bayer process cycle. It is estimated that for each ton of alumina produced 0.9- 1.5 tons of solid residue is generated depending on the initial bauxite ore grade and alumina extraction efficiency. The current BR production level in the EU is 6.8 Mtpa (million tons per year); while the cumulative stockpiled level is a staggering >250 Mt (dry matter). In Europe, alumina refineries operate in Bosnia Herzegovina, France, Hungary, Germany, Greece, Ireland , Romania , Spain and Ukraine, while significant BR deposits from refineries that have stopped their operations (legacy sites) exist in Italy, France, Germany, Hungary and other countries. The large volume of BR is an ever growing concern to all alumina producers. In cases where land availability is becoming limited, the ever-growing demand for BR disposal space, ultimately threatens the longevity of established alumina refineries. With an average iron oxide content of 40 wt%, it can be considered as an equivalent of 3.4 Mt of iron ore available in Europe. Gallium is found in bauxite ores at levels of 30-80 g/t and is dissipated in the alumina and BR streams; extracting gallium from a single European alumina refinery would amount to global levels of gallium production (annual world production 284 t in 2012). Although numerous sporadic projects and isolated research efforts have attempted to utilize BR as it as a feedstock in other sectors (cement, iron, etc), clear-cut cases of industrial utilization of BR are rare and can only be applied on a fraction of the produced BR in a refinery. In EU only about 100 ktpa of BR are re-used in Greece as a raw material for clinker cement. The use of filterpress to transform the BR slurry into a filtercake (BAT) is considered to be the key for any reuse scenario or for safer land disposal. Economic: No single, stand-alone solution seems to be viable for reusing the vast amounts of BR produced. Pooling multiple solutions together and optimizing them in an integrated manner is the only way to render bauxite residue reuse viable from an economical point of view and acceptable for the industry. Legislative: Resue and transport of BR are hampered by the ambiguity of its EWC characterization and the complexity imposed by waste transfer regulations. Providing a more concise framework for including BR in end-of-waste is needed. Incentives to industries for prioritizing the use of industrial by-products over virgin raw materials would also help. The European (EU28+EFTA) alumina – primary aluminium industry in 2016 utilized about 12 million tonnes of bauxite to produce about 7 million tons of alumina (out of the 115 million tonnes worldwide), and imported an additional 4 million tonnes of alumina to produce about 4 million tonnes of primary aluminium (out of the 59 million tonnes worldwide). The alumina and primary aluminium sector in Europe employs directly about 16,000 people. The alumina and primary aluminium sector in Europe are at the basis of the whole European aluminium industry, which employs directly and indirectly more than 1,000,000 persons in more than 600 plants and generates about 40 billion Euros in annual turnover. Deliver and validate a complete feasibility study for each of the 3 alumina producers and the 1 legacy site owner in the consortium detailing the optimum processing flow sheet for valorising the produced Bauxite Residue (BR) along with other industrial by-products, taking into consideration waste characteristics, logistics and potential for symbiosis with other plants in the geographical vicinity . Following this, each plant will be able to implement its own BR valorisation plan. Demonstrate at pilot scale the de-alkalization technology to remove alkali content from BR at levels below 0.5% wt, making it suitable for various applications. At least 40 t of BR will be processed by AAL at a mobile pilot plant in Ireland and Greece. 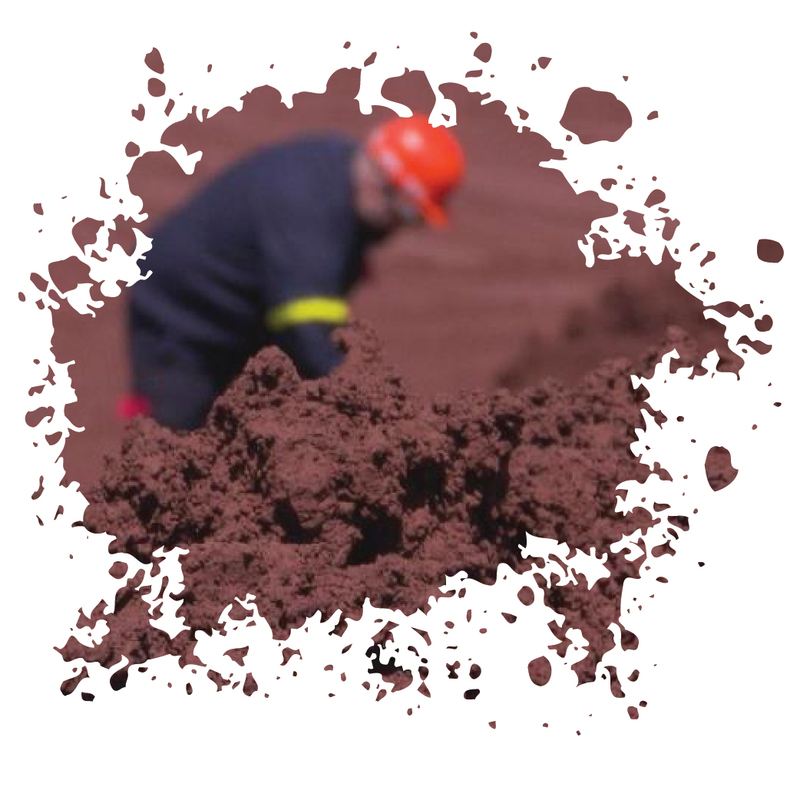 Demonstrate the use of processed Bauxite Residue (BR) as green soil stabilizer for civil works applications though the stabilization of BR with other industrial by products. At least 800 t of BR will be processed and used by ACCIONA as a raw material for the construction of a road in Spain. Demonstrate at pilot scale the production of lightweight aggregates and high performance binders through different thermal treatments of Bauxite Residue. At least 10 t of Bauxite Residue will be processed in the RIO TINTO Pilot plant in France. Demonstrate at pilot scale the production of ferro-silicon alloy from Electric Arc Furnace (EAF) co-processing of BR with other industrial by-products, like Spent Pot Lining (SPL) form aluminium primary production. At least 50 t of Bauxite Residue will be processed in the AoG Pilot plant in Greece and in the ELKEM pilot plant in Norway. Demonstrate at prototype microwave furnace the production of metallic iron from processing bauxite residue with other industrial by-products. At least 250 kg of Bauxite Residue will be processed in CEINNMAT’s mobile prototype plant in both Spain and Greece. Demonstrate the production of REE concentrate, Ga concentrate, alumina/soda solution and rutile concentrate from the hydrometallurgical processing of engineered slags/sinters produced in RemovAL pyrometallurgical pilot plants. Ga is co-extracted both from the slag and the Bayer liquor. At least 500 kg of slag and 100 lt of Bayer liquor will be processed at RWTH/MEAB pilot plant in Germany. Demonstrate the production of blended cement at HEIDELBERG from the processing of engineered slags produced in the AoG EAF pilot plant. At least 10 t of slag will be processed in HEIDELBERG R&D plant in Germany. Demonstrate the production of mineral wool insulation products from the processing of engineered slags produced in the AoG EAF pilot plant. At least 10 t of slag will be processed at ROCKWOOL. Demonstrate the production of new marketable building products from the building materials produced in RemovAL’s demonstrations. A demo house 25 m2 is built exclusively with BR building products in the housing settlement next to the AoG alumina plant. Assess health, safety and environmental benefits and risks, including risk management for all demonstrated actions to avoid environmental damage and maintain overall environmental stability. Propose policy and where needed standardization actions to foster the development of the demonstrated actions and products. Develop a communication plan to promote social and stakeholders’ acceptance of RemovAL industrial symbiosis scheme and foster European and international cooperation in the field of Raw Materials. Deliver a BR valorization technology handbook to promote sustainable alumina production in the vision of resource efficiency and industrial symbiosis. RemovAL is the combined effort of the ‘Mud2Metal’ and ‘BRAVO’ EIP Raw Material Commitments and has been developed in-line with the mapping document of the European Aluminium Innovation Hub2. The technologies and pilots in most cases have already been developed in previous or ongoing projects and through RemovAL they will be pooled together and utilized in pan-European industrial symbiosis network. In the videos below, you can see how some of the technologies that RemovAL builds on in action.